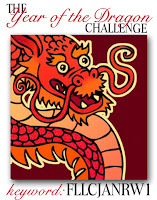 Flourishes Noon Time Challenge has a Year of the Dragon Inspiration Image to play with. This is my take on it. Love the variation of colors, but I opted to go in a more traditional direction. 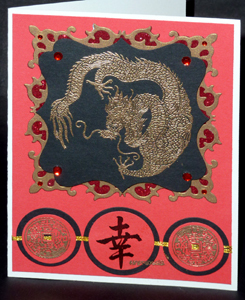 Just click on card image to see more details and descriptions and enjoy. Like what you did on this card. Wonderful take on the challenge! Very cool, great embossing. Thanks for playing in Flourishes Challenges.